This story about STEM education was produced by The Hechinger Report, a nonprofit, independent news organization focused on inequality and innovation in education. Sign up for our newsletter. QUINCY, Wash. — A few years ago, a young female engineer named Isis Anchalee was featured on one of her company’s recruiting posters only to be subjected to a barrage of digital feedback questioning whether she was really an engineer. People posting on Facebook and Twitter said Anchalee was too attractive to be an actual software engineer and must be a model. Anchalee responded like the techie she is. She wrote a blog post about her experience and added a photo of herself with the hashtag #ILookLikeAnEngineer. Twitter exploded with selfies of female engineers of all backgrounds and male engineers of color declaring they looked like engineers, too. If she had known about the hashtag campaign and taken a look, Alessandra Gudino Aguilar, age 8, might have seen a grown-up version of herself. Alessandra, a student at Pioneer Elementary School in rural Quincy, Washington, spent part of the fall term in an enrichment class focused on teaching elementary-age students the principles of engineering design through a curriculum designed by educators and scientists at Boston’s Museum of Science. 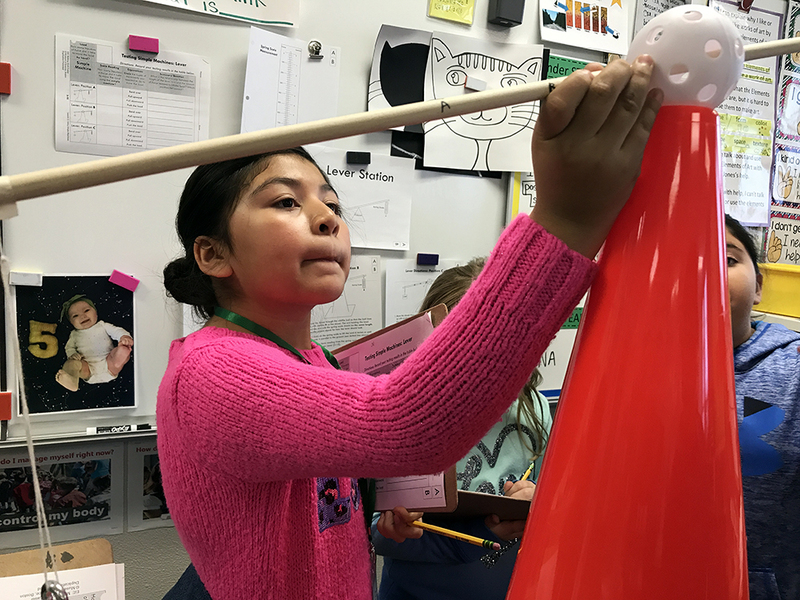 “I like the process,” Alessandra said after a lesson in which she and her classmates used simple machines to move a bag of potatoes in an attempt to find the potato-moving option that required the fewest newtons, the unit of measurement for force. Black and Hispanic women together claimed less than 4 percent of jobs in science and engineering, according to the report. Less than a third, 28 percent, of scientists and engineers working in those fields are women. Black and Hispanic men held less than 7 percent, total, of science and engineering jobs in 2015. And while science and engineering degrees earned by Hispanic people have been increasing over the past decade, that same National Science Foundation report found that the number of science and engineering degrees earned by black people has actually declined. High schools and colleges have been aware of the imbalance, and tried to remedy it, for years: There are many programs aimed at pulling women and students of color into science and math fields as teens and young adults. Some, like the Alaska Native Science and Engineering Program, have been inordinately successful at guiding underrepresented students, including many young women, from middle school algebra through to a college degree in a STEM subject. Other efforts, like the Hour of Code challenge by Code.org, are more about exposing kids to the world of science and engineering than about shepherding individual students through years of education. The Museum of Science’s Engineering is Elementary curriculum is aimed at attracting potential engineers before they get distracted by whether or not they fit the stereotype. 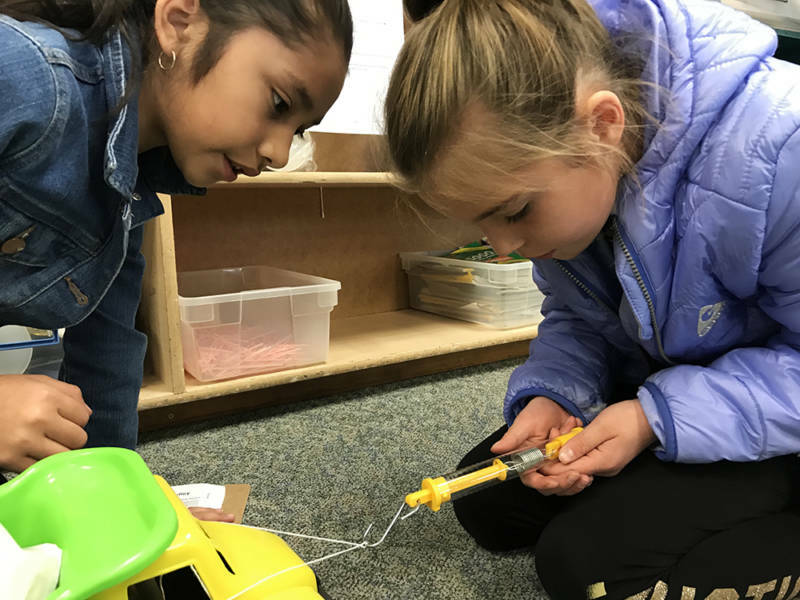 Since 2003, more than 15 million 6- to 11- year-olds at thousands of schools across the country have been taught how to think like engineers using the curriculum. Initial findings from the first study of how well the curriculum works show that students taught with Engineering is Elementary learn both science and engineering better than those taught the same subjects without the eight key elements included in the Museum’s curriculum. It turns out that explicitly teaching students about the connections between engineering, science and math, teaching the engineering design process rather than just posing an engineering challenge, and helping students gather information from failed attempts all make a difference to students’ ability to absorb and retain science and engineering concepts. Researchers also found that kids’ attitudes about girls in engineering were more positive for both boys and girls after being exposed to the Engineering is Elementary curriculum. The Museum of Science, a nonprofit, makes an effort to ensure both children of color and girls have access to this hands-on curriculum and are represented in the stories used to kick off each unit. The curriculum is designed to fit into a teacher’s regular schedule. There are 20 units featuring engineering design projects that can be purchased independently and used alongside or in place of science units on the same topic, like electricity, water or insects. The teacher’s guide for one unit costs $55; an accompanying storybook is $9. Materials can be also purchased from the museum, but most materials needed to complete the experiments — like rope, pulleys and cardboard — can be borrowed from home or bought cheaply at grocery or hardware stores. Teacher professional development options run the gamut from a one-day class for teachers new to the curriculum to a three-day session for teachers learning to train other teachers. Costs for whole-school training sessions range from $2,500 to $10,000 depending on location. Independent workshops at the museum can cost as little as $450. Teachers whose students are mostly from low-income families are eligible for subsidized curriculum materials and professional development. In one of her very first classes using the new-to-her curriculum, Jones said a struggling student blew her away with the model he built. She worked with his other teachers to pull him into the advanced STEAM class she taught despite his low grades in other subject areas. “We talked so much about engineering and all the other fields and you could see him thinking, ‘Oh there is a future. I’m good at this and I want to live into that,’” said Jones, who was her state’s teacher of the year in 2017. Engineering as a profession is expected to grow by 8.3 percent between 2016 and 2026 and to offer an average of 126,600 open jobs each year during that time, according to the Bureau of Labor Statistics. Some engineering fields could grow even faster. The Bureau predicts we will need 10.6 percent more civil engineers and 15.2 percent more petroleum engineers. Engineering technicians, who need a solid background in math and science but not a bachelor’s degree in engineering, will also be in high demand with approximately 40,100 openings per year on average. Perhaps even more relevant to students from low-income families: Engineering jobs tend to offer steady, upper-middle class employment. The annual mean wage for all engineers as of May 2017 was $96,670, according to the Bureau of Labor Statistics. For children growing up in a school district like Quincy’s, where apple and pear trees are far more plentiful than bachelors’ degrees, exposure to engineering as a possible future job must happen at school, said Pioneer Principal Alesha Porter. “I just want our students to know it’s possible for them to become engineers and go to college,” Porter said. Both Porter and Jones are from Quincy and attended high school together in the early 2000s. Porter was among the first in her family to attend college. Jones, who had grown up, she said, with “about as much privilege as anyone is going to have” in Quincy, got to college intending to major in engineering and found herself totally unprepared for the coursework. Both women aspire to better prepare their students to pursue engineering degrees, should they choose that path. The Museum of Science in Boston isn’t the only provider of engineering curricula for elementary school students. The Lawrence Hall of Science at the University of California, Berkeley, offers Amplify Science, which incorporates engineering principles of problem solving. Various other organizations like TryEngineering.org, PBS Kids and NASA offer engineering resources for K-12 classrooms. There are also several single-city pilot programs offered by colleges. 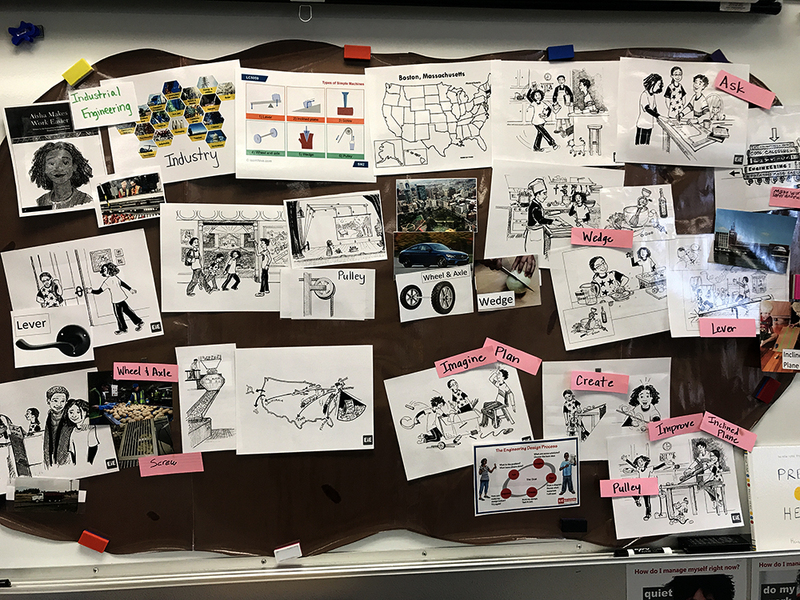 One, from Purdue University in Indiana, trains elementary school teachers to teach science using engineering design principles. American University and Johns Hopkins University work together on another to offer a program at nine high-poverty schools in Baltimore that both trains teachers and instructs students in real-life engineering projects. The National Science Foundation, an independent federal agency, funds Parker’s work and several other organizations that work to get engineering classes into elementary schools. The Foundation also pays for studies, like the one being conducted on Engineering is Elementary, that examine how successful these new programs are at teaching kids about science and how to solve problems like an engineer. One of the goals of the National Science Foundation is to keep the United States “at the leading edge of discovery.” That includes preparing America’s schoolchildren to take on the massive task of leading in science in the 21st century, something we are arguably not making a priority. American elementary school students currently get little exposure to math and science. Students in first through fourth grade spent an average of just 2.5 hours per week on science during the 2011-12 school year, the last for which data is available, according to the National Center for Education Statistics. Performance on measures of elementary students’ science proficiency reflect the minimum focus; just 38 percent of fourth-grade students performed at or above proficient on the 2015 National Assessment of Education Progress. Numerous surveys have found that nearly half of elementary school teachers feel underprepared to teach science. Confidence in teaching engineering isn’t usually surveyed because engineering is not considered a standard elementary school subject. 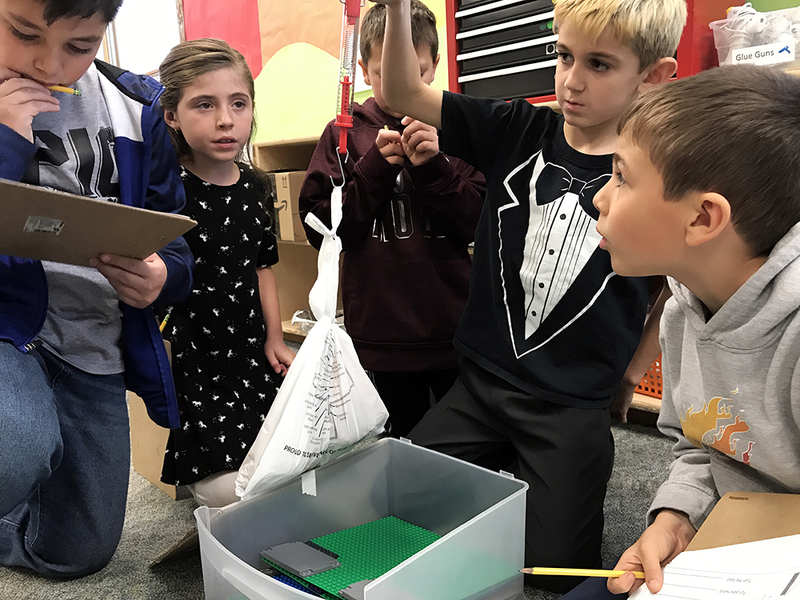 For that reason, teacher professional development is a critical part of the success of any engineering curriculum, said Christine Cunningham, founding director of Engineering is Elementary. Cunningham said teachers have guided her team’s curriculum development work from the beginning and that the curriculum has become so widely used because teachers have found it effective, especially with otherwise hard-to-reach kids. Engineering lessons changed everything in her fifth-grade classroom in Lawrence, Massachusetts, said Nia Keith, now the director of professional development for the Museum of Science. Kids living in Lawrence, a mostly low-income community, weren’t often exposed to engineering concepts at home and many struggled to stay engaged with typical math and science lessons at school, Keith said. Back in Quincy, a ramp made of cardboard had collapsed and the top, stuck on with masking tape, kept coming off. 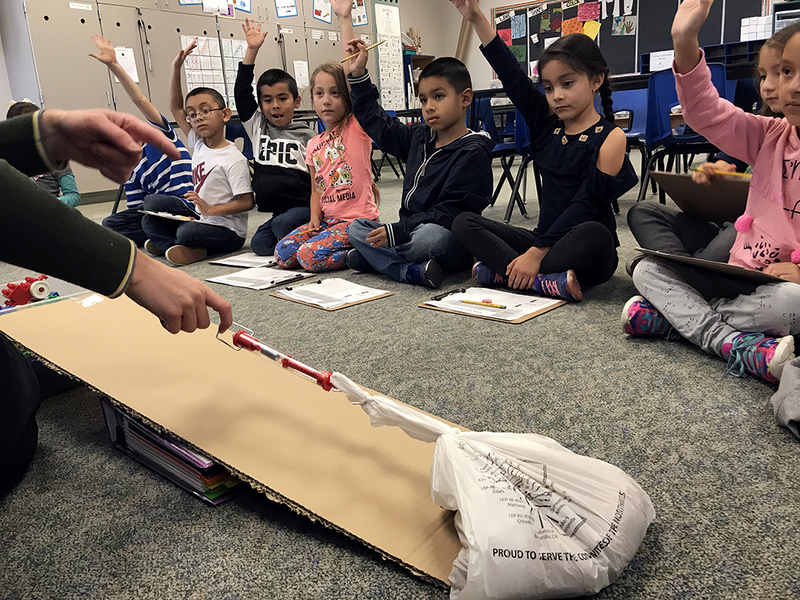 Without missing a beat, Alessandra and a friend found some sturdier packing tape, fixed the ramp, and resumed collecting data on whether the short steep ramp or the long shallow one was a better way to move a bag of potatoes.